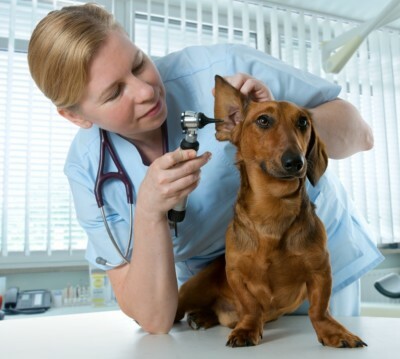 Head-to-toe physical exam of your sick pet. Does not include diagnostic testing or additional treatments. A simple in house blood test which will determine the presence of heartworms in the blood stream within 10 minutes. Reccommended annually for dogs. This diagnostic test can also be performed on cats. A simple in house blood test which will determine exposure to the Feline Leukemia Virus (FeLV) or the Feline Immunodeficiency Virus (FIV) also known as "Feline AIDS". Highly recommended for any new or stray cats you plan to bring into your household. Provides yearly protection against the Rabies virus. Required by law for all pets in TN. Provides 3 years of protection against the Rabies virus. ​eligible for a 3 year vaccination. Provides protection against Distemper, Hepatitis, Parvo Virus, & Parainfluenza. Leptospirosis vaccination may be included based on your pets risk factors. Given at 4 week intervals for puppies. Given once a year to adult dogs. Provides protection against canine bordetella virus which is highly contagious to dogs. Given once a year to dogs/puppies. Required for most boarding and grooming facilities. Provides canine protection against Lyme Disease for 1 year. Required by law for all pets in TN. eligible for a 3 year vaccination. Provides protection against Rhinotracheitis, Calicivirus & Panleukopenia viruses. Given at 4 week intervals for kittens. Given once a year to adult cats. Required by most boarding and grooming facilities. Provides protection against Feline Leukemia, Rhinotracheitis, Calicivirus & Panleukopenia viruses. Given once a year to adult cats​. All surgery patients receive a complete physical exam with the doctor prior to administration of preanesthetic medications. This is to ensure your pet is a good candidate for anesthesia. Should we have any concerns we will contact you before moving forward with anesthesia. It is our top priority to provide your pet with the best care possible. We strive to keep your pet safe and comfortable before, during and after anesthesia. All patients over 8 years old are required to have preanesthetic bloodwork done before anesthesia. Geriatric pets may also be required to have an IV Catheter and/or fluids during anesthesia. This allows us to have immediate access to your pets bloodstream should life saving drugs be needed. We will always cover any questions you may have about the procedure in advance. Pricing estimates can be given upon request. We strive to maintain a "flea free clinic". Any pets with visible flea infestations will be treated with a 24hour flea preventative at a cost of roughly $6 for the pet owner. *We do not have a groomer on staff at Lakeway Animal Clinic. Our technician can do a simple sanitary trim but cannot do full body hair cuts. We can refer you to groomers in the area, give us a call for more information! Give us a call at (731) 644-9933 with any questions you may have!